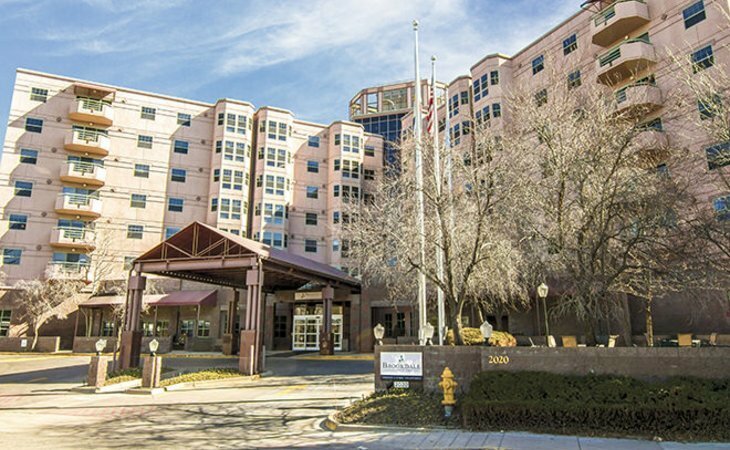 Families looking for assisted living in Colorado (CO) have a wide array of communities to choose from, since it's estimated that there are more than 30,000 assisted living communities serving seniors across the U.S., and over 444 statewide. The state is also home to a rapidly growing number of senior citizens, with adults over 65 making up an estimated 14 percent of the population. A resident in an assisted living community in Colorado will pay $3,850 per month on average. As of 2018, our family advisors have helped more than 8,193 families in Colorado find the right assisted living community. See more than 1,513 authentic verified reviews of assisted living communities across Colorado from residents and their loved ones. Browse our comprehensive directory of more than 444 assisted living communities statewide for photos and information about amenities, costs and more. 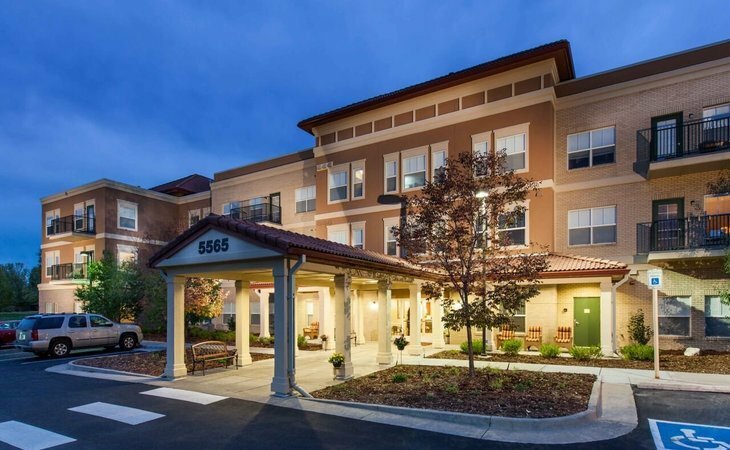 Genworth lists the average cost of a private, one bedroom unit in an assisted living community in Colorado as $4,120. This places Colorado on the higher end of the scale at about $100 over the national average, and about $100 higher than the median cost of assisted living in nearby states. When estimating the cost of assisted living, it's important to know that average prices can differ significantly between various parts of Colorado. 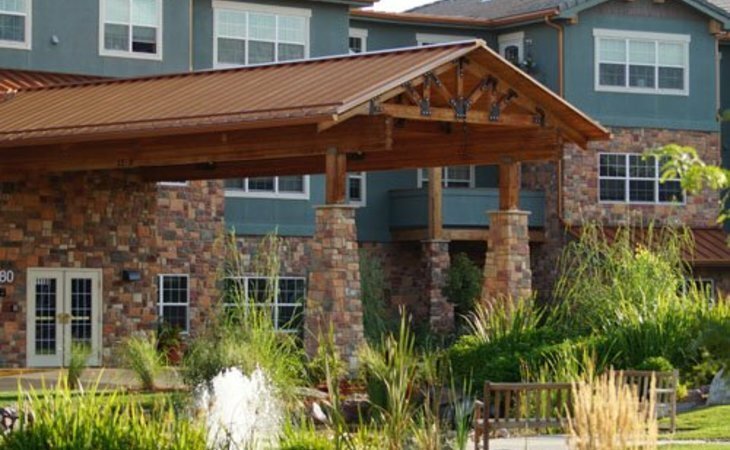 For example, assisted living rates in areas such as Boulder are at least $1,000 more than the state average of $4,120, but in areas like Greeley, you're saving on average $300. The most affordable region in Colorado for assisted living is Grand Junction at $3,450. 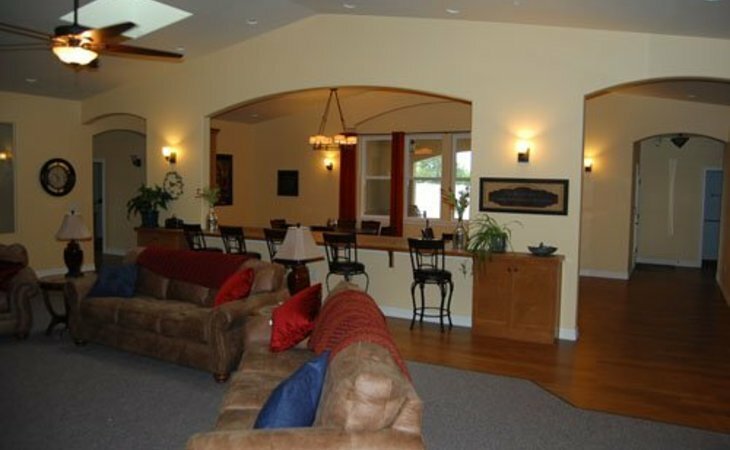 In Colorado, assisted living facilities are officially known as assisted living residences. Some types of assisted living facilities accept payment from Medicaid. These facilities are called alternative care facilities. Colorado offers several Medicaid and non-Medicaid programs that can help seniors pay for assisted living. The Old Age Pension Program delivers financial aid to low-income seniors who are 60 years of age or older to help them attain a minimum monthly income. The cash benefit that this program pays out varies based on a senior’s current income and what the minimum level of accepted income is for a given year. This program may also provide dental and health care benefits to seniors who don't qualify for Medicaid. To qualify for this program, an applicant must be at least 60 years of age, a citizen or legal alien of the United States and a resident of Colorado. The length of the applicant’s state residency is not a factor; even those who have recently moved to Colorado may be eligible for this program. An individual may have up to $2,000 in countable resources and a monthly income of up to 788. To qualify for dental and medical care, an applicant must be between ages 60 and 64 and must receive the Old Age Pension. Applicants who are eligible for Supplemental Security Income but don't currently receive benefits may be required to sign up for them. To apply for Old Age Pension, seniors can visit their local Social Security office. Colorado offers financial assistance to allow low-income seniors to avoid nursing home placement by helping to finance adult foster care. Adult foster care is a type of assisted living that is provided in smaller homes with a family-like environment. Seniors receive services such as 24-hour supervision, meals, assistance with the activities of daily living and medication management. Eligible seniors are those who require 24-hour non-medical supervision. They must receive the Old Age Pension, SSI or both. Applicants enrolled in a Medicaid Waiver program or who receive the Home Care Allowance are not eligible for the Adult Foster Care program. This program may not be available in all counties. Annual re-enrollment is necessary to continue receiving benefits. To apply, seniors should contact their local Department of Human ServicesDepartment of Human Services. Health First Colorado, which is Colorado’s Medicaid program, is a public health insurance for low-income residents. Seniors can use this program to cover some of the costs of assisted living. Currently, Colorado seniors have access to two Medicaid waiver programs that may help them pay for assisted living: the Home and Community-Based Services Waiver and the Elderly, Blind and Disabled Waiver. To be eligible for Medicaid, seniors must meet income and asset guidelines. More information about eligibility can be found here. To apply for Health First Colorado, seniors should visit their local Social Security office. Supplemental Security Income-G is a federal assisted living benefits program that can help pay for assisted living. In Colorado, the state funds and administers its own supplemental program in addition to what the federal government pays out. SSI-G can be combined with the Old Age Pension program or the Adult Foster Care program to help cover the cost of assisted living. To be eligible for benefits, seniors must meet income and asset guidelines. More information on eligibility requirements can be found here. To apply for benefits, seniors can fill out an application in person at their local Social Security office. Colorado offers several free resources for seniors and their families who are researching their long-term care and financing options. Colorado has numerous local aging programs that provide information and services to seniors and their family members. Some services include mobility assistance programs, meal delivery and respite care. Find out more about Colorado’s Area Agencies on Aging at these regional offices. Colorado’s Department of Military and Veterans Affairs serves senior veterans and their families by helping them understand the VA benefits they receive or are eligible for. Seniors can speak with a representative to find out what types of care options are covered by their VA benefits. Colorado’s local Social Security offices offer seniors assistance with understanding their benefits, determining what benefits they qualify for and applying for financial aid programs. At local offices, seniors can apply for the Old Age Pension, Health First Colorado and SSI-G.
Colorado’s Long-Term Care Ombudsman Program serves seniors by advocating on behalf of residents in assisted living facilities and other long-term care communities. Trained personnel regularly visit local assisted living facilities, educate residents about their rights and investigate complaints made by or on behalf of seniors against the facility they reside in., In Colorado, the regional Area Agencies on Aging work with local volunteers and legal advisors to provide Long-Term Care Ombudsman services to seniors and their families. In addition, all licensed facilities must display a poster that includes the area's assigned ombudsman name and contact information. Assisted living facilities in Colorado cannot admit residents who are consistently and completely incontinent unless the resident or the facility’s staff can ensure that it doesn’t become a health hazard for other residents. Facilities cannot admit residents who are entirely bedridden with limited potential for improvement, require 24-hour skilled nursing care, have an acute substance abuse problem, have a communicable disease or are in need of restraints. If a current resident becomes bedridden, they may continue living in the community if there are enough staff members trained in meeting the needs of bedridden residents, a licensed hospice of home health service ensures that the resident's physical, social and emotional needs are met, and a physician outlines the care services the resident needs. An assisted living facility cannot admit a resident who needs hospice care. 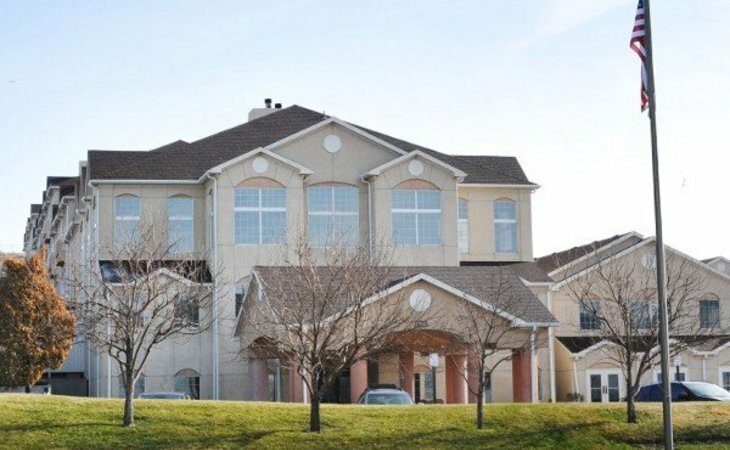 However, long-term residents may receive hospice care in an assisted living facility if the community’s staff have been trained to provide hospice care and doing so will not compromise the care that the other residents receive. Assisted living facilities in Colorado are required to provide supervision and protective oversight for residents in a safe and sanitary environment. The facilities must offer assistance with the activities of daily living, transportation and opportunities for socializing and recreation. Facilities are required to deliver three meals and between-meal snacks every day. Residents should be encouraged to help with meal planning. Therapeutic diets may be offered if a physician has ordered them. 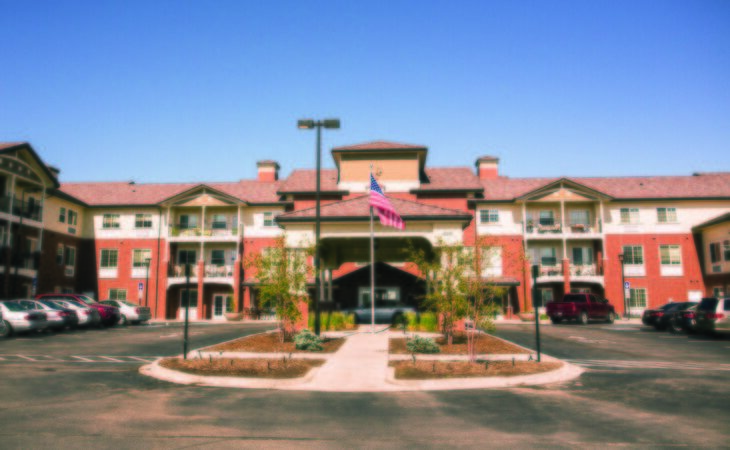 In Colorado, facilities are not required to offer apartment-style units. Facilities built after July 1, 1986, can have a maximum of two occupants per bedroom. There must be one full bathroom for every six residents. Cooking is not allowed in the bedrooms, so in facilities that do not have apartment-style units, a food preparation area for heating and reheating food or making hot beverages have to be provided. Access and use of the food preparation area are subject to the facility’s rules, and only residents who can cook safely are permitted to do so. Staff members who assist with administering medication must pass an approved medication course given by a licensed nurse, physician, physician’s assistant or pharmacist, or they have to pass an approved competency test for administering medications. A qualified medication administration person, or QMAP, may administer prescribed and over-the-counter medications, but they may not administer medications via a syringe for injection under the skin or into the bloodstream. Assisted living facilities are required to keep a copy of the QMAP certificate in the employee’s file. A person who is certified as a QMAP must take a competency test every five years. Every assisted living facility in Colorado must have a full-time administrator who oversees day-to-day operations and staffing. There has to be at least one QMAP and at least one staff member who has a current certification in adult first aid on site at all times. While the state has no minimum staffing ratios for facilities that do not accept Medicaid as payment, each assisted living facility should have its own method of determining how many staff members it needs on duty. This includes whether or not the facility has an awake staff 24 hours a day. The expectation is that there will be enough staff members on duty to provide adequate care for residents’ scheduled and unscheduled needs. Administrators are required to complete 30 hours of training: fifteen hours covering topics such as residents’ rights, fire safety, emergency procedures, nutrition, and identifying and addressing challenging situations and behaviors, and an additional 15 hours of training covering the personal, social and emotional needs of residents, including medication management, chronic illnesses, the use of community resources and end-of-life care. Staff members must be given on-the-job training or have relevant job experience for the duties assigned to them. Before staff members can provide direct care for residents, they have to receive training on residents’ rights, first aid and injury response, the facility’s medication administration program and other needs specific to the facility’s residents. Within one month of employment, staff members must receive training on assessment skills, health emergency response, and identifying and handling difficult situations. Owners and administrators must undergo a fingerprint background check. Owners are responsible for conducting criminal background checks on administrators to ensure they have never been convicted of a felony that could pose a risk to the safety and well-being of residents. All staff must have criminal background checks, including permanent staff, volunteers and contract staff. In Colorado, everyone who is employed by an assisted living facility in any capacity is a mandated reporter. This means they are required by law to report any abuse, neglect or exploitation they see or have reason to suspect. All reports should be made to their local law enforcement agency.